The Kendall Bayne Foundation is a 501(c)(3) non-profit organization that honors the life and memory of Kendall LeeAnn Bayne. 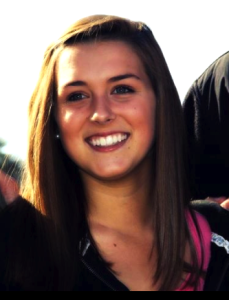 Kendall was a Cave Spring High School graduate who was beloved in the community. “Fight Like a Knight” was a slogan seen across the Roanoke Valley, with students and adults cheering her on as she fought her battle. The support she received was a testament to her personality and character. It was nothing short of impressive and inspiring to watch her face adversity with determination, grace, courage, humility, and a sense of humor. She was always positive; her smile lit up a room and left an indelible mark on those who knew her both well and casually. The Kendall Bayne Foundation is dedicated to honoring the life of this remarkable young woman, and to encourage others to “Live a Kendall Life” — one that has kindness and compassion for others, exudes grace and courage, and projects a positive attitude in spite of adversity. The Kendall Bayne College Scholarship is a $3,750 annual scholarship awarded to a Roanoke Valley high school senior. Our inaugural scholarship was awarded in 2017. Lemon-Aid is a backpack initiative provided to patient’s age 15-35 who are undergoing chemotherapy. Each backpack contains a fleece blanket, fuzzy socks, a flannel pillowcase, lotion, playing cards, an Amazon gift card, chapstick, a water bottle, hand sanitizer, a journal, a pen, and lemon drops. The Kendall Bayne School in Kigali, Rwanda provides pre-school education and nutrition to 160 boys and girls in Rwanda. The Translational Genomics Research Institute (TGen) is a non-profit 501(c)(3) organization focused on developing earlier diagnostics and smarter treatments for cancer, neurological disorders, diabetes, and other complex diseases.